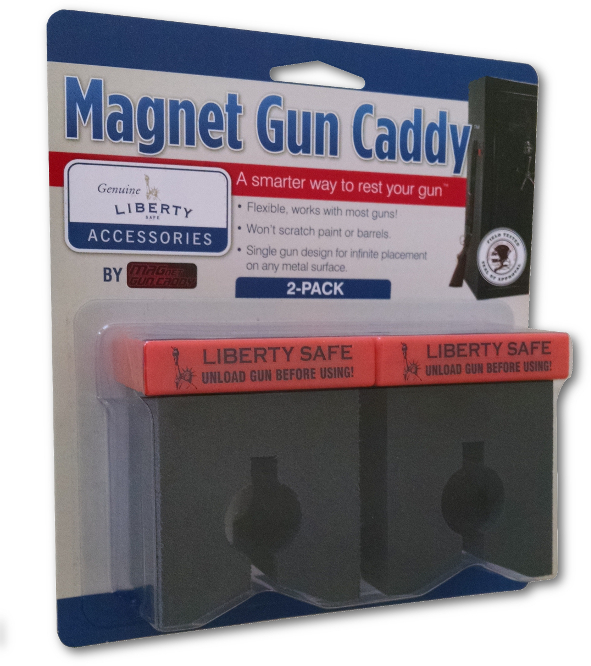 Look for the new co-branded Magnet Gun Caddy 2-pack anywhere Liberty Safes and Accessories are sold under it's "Genuine Liberty Safe Accessories" label. This new 2-pack offers additional value along with a modified foam holder that extends an additional .5” providing additional clearance for scopes. Liberty Safe and Security Products, Inc. is the #1 seller of full-size residential safes in the U.S. The company offers the broadest line of home, gun, office and commercial safes available from any one company. The company's products are offered under three popular brands–Liberty, National Security and Centurion. 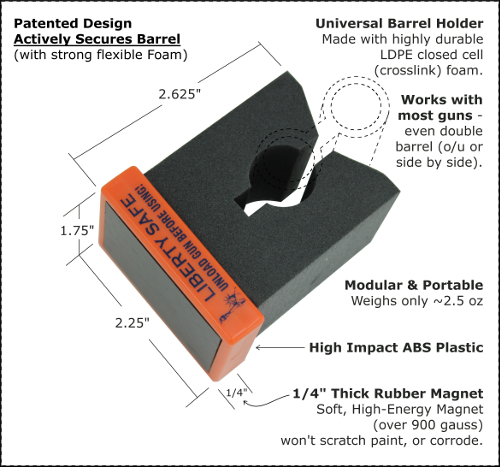 Information on “Break-in” Period for Larger Barrels While the MGC was designed for use with a wide range of barrel sizes, larger sizes like 12 or 10 gauge may require a little break-in period for one-handed use. 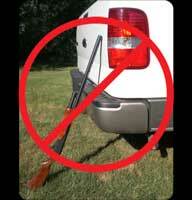 You can speed up the break-in time by working the foam portion with your hands or slipping it on and off the barrel. You will be able to slip the gun in and remove it from the MGC with just one hand.